Mark Burrell was elected to the Trust Board at the AGM in November 2014. He is a dedicated Chairboys fan and season ticket holder for over 15 years, and sponsors aspects of the Club. His main role on the Trust Board is that of (Group) Finance Director, a role that he also fills on the Club Board, working to secure the financial future of the Club and day to day cashflow. He understands the brutal reality of what it takes to run a League club and ensure its future. He owns a business transformation and change management consultancy transformationdelivery.com and has used those skills and experience to transform the finances of the Club, Trust and Group of companies, delivering changes in the way the businesses are shaped and works to get the best results. What is a Legacy Trust Member (LTM)? Volunteers will assist at the Training Ground on several dates to clear, lop and burn branches/small trees. Building a database of Hillbottom Road firms in order to facilitate keeping the road clear on match days, especially evening matches is in progress. End of Season dinner will be on 6th May. All fans are welcome to attend and tickets are available from the Club at £50 pp plus Vat. Player sales and income from football fortune will be well below last season. This will have an impact on the P&L, which is expected to be down on last year. This also has an impact on cash flow levels which are being managed extremely closely as a result. A major review of budgets has been undertaken by the Group Finance Director and Chairman and adjustments made where necessary to reduce costs and boost income. 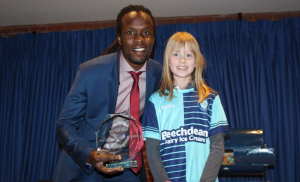 Marcus Bean’s last-minute winner against Carlisle was overwhelmingly selected as the ‘Magic Moment’ of the season so far at an event at Adams Park on 24th March celebrating the contributions of supporters to the 500 Club-18. Raising £30,000 so far, the 500 Club-18 is designed to generate funds for the transfer budget, helping Gareth Ainsworth bring the likes of Tafari Moore and Curtis Thompson to Adams Park, and extending the loan deal of Dan Scarr. A packed out Caledonian Suite saw 500 Club-18 contributors dine with the playing squad, watch a selection of ‘Magic Moments’ and select their winner, with young fan Millie Cross presenting Marcus with his prize. 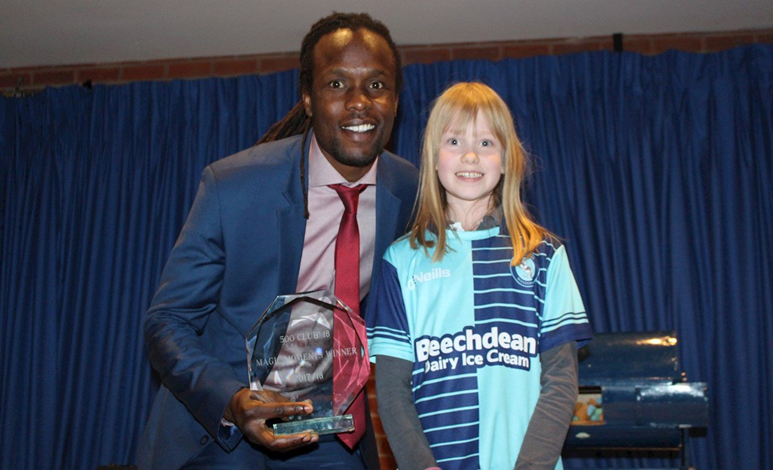 Gareth Ainsworth and Adebayo Akinfenwa also addressed the audience, with Adam El-Abd and Matt Bloomfield picking winners in the raffle. It has brought increased security to the Club. It helps to secure the future of a number of organisations embraced by the Trust, such as WWLFC and WWSET. The Trust is a democratic organisation, a volunteer led entity and no one on the Trust board receives a salary. It’s an ever changing entity not constrained by the whims of any individual Director or owner. It preserves the heritage and history of our Club, something which you can contribute to by joining today.